Should a Poldark spin-off ever be considered? At the moment, we are very much when it comes to a Poldark drought. There just isn’t a whole lot of news out there about the fourth season and with filming already done, it’s now about the waiting game. Luckily, we do think that the premiere of season 4 (at least in the UK) is only a couple of months away at most … but why not get into a little bit of a conversation now in regards to the series’ long-term future? All signs point to season 5, if it happens, being the final one on the BBC. That’s a little said, just based on the fact that there is probably so much more of this show’s story that could be told beyond that; at least from the source material itself, we do think that there could be enough story for a sixth season. If that doesn’t happen, why not go ahead and consider some sort of spin-off on the series? While we know that it would drift the series a little bit far from the Winston Graham material, at the same time this would be far from the first time in which we saw something like that executed. This is a rich, bold world, and with that, we do think that there are some other interesting stories that could be explored a little bit further. These are just ideas based on where the show is now, without taking into account what happens moving forward. Sam and Drake – There is something interesting about exploring their religion and the attempts in which to make it prevalent in this location and era. While religious stories are not always exciting, there is a certain quaintness about it in the Poldark world we appreciate. Dwight and Caroline – How does a doctor continue to save lives in this particular time, and beyond that can his marriage withstand differences in class and social structure. Ross’ children – Do you jump the series forward to feature some of them as adults? What would that look like? There’s obviously going to be enough story there to constitute a new generation of stories. Warleggan – Okay, just kidding. This was already a spin-off joke from the show’s official Twitter. Related – Be sure to check out some other insight when it comes to the series! 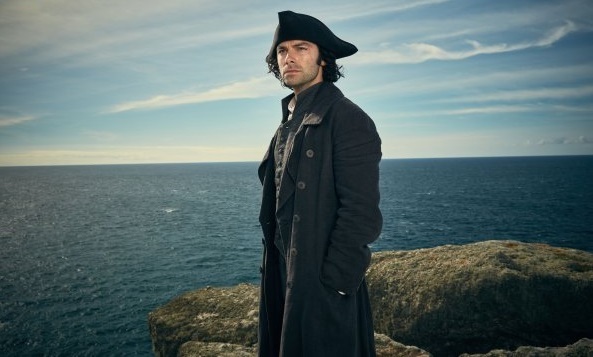 Would you want to watch a Poldark spin-off at some point in the future? Be sure to share right now in the comments!